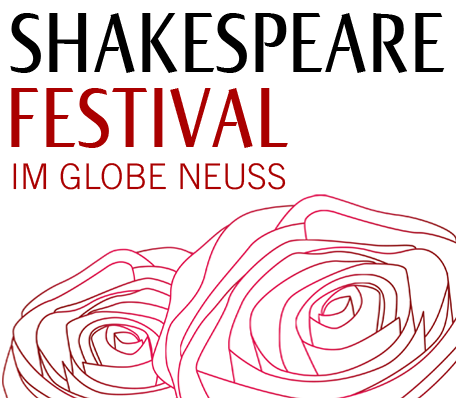 Our partner in the European Shakespeare Festival Network, the Shakespeare-Festival Gyula, will be performing "As you like it" at the Festival in Neuss. 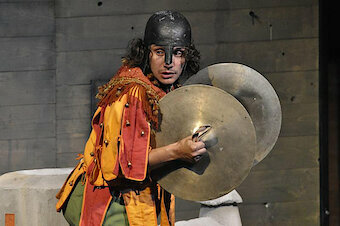 The productions which are part of a NRW-wide "Hungarian Scene", show a Shakespeare production which the Hungarian director, Attila Vidnyázky, has put together with the coproduction of the Gyula-Festival for the Hungarian-speaking Theater Beregszász in the Ukraine. 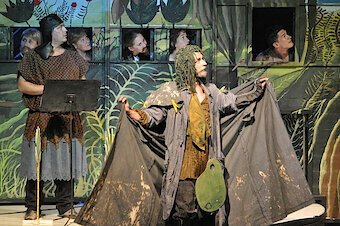 The production is exciting, funny and touching. 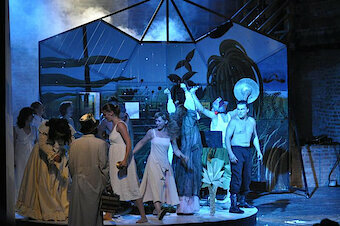 By using an ingenious moving stage, the audience is transported easily into the different changes of scenes. 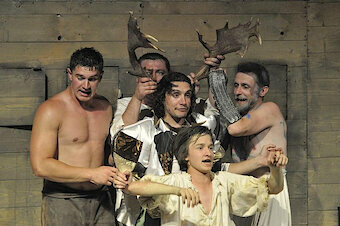 Here we have Shakespeare with an Eastern European touch, something one doesn't often get to experience. 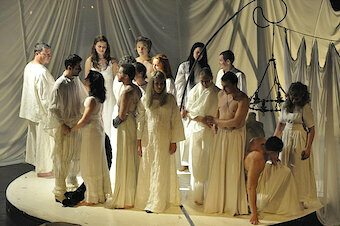 The Shakespeare Festival at the Globe in Neuss works in cooperation with the European project: „Shake in the city. The art of inclusion“.